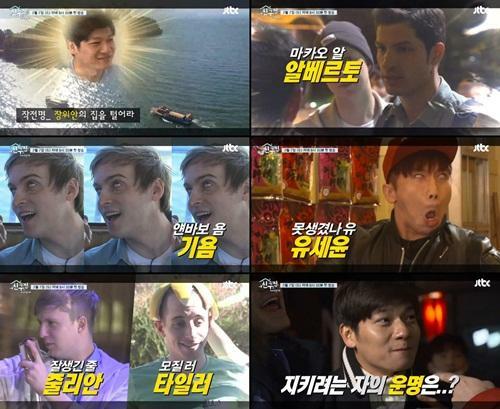 The video is a parody of movie ‘The Thieves’ and the members of JTBC ‘Nonsummit’ appeared – Alberto Mondi, Guillaume Patry, Julian Quintart, Tyler Rasch, Yoo Se Yoon and Zhang Yuan appeared. In particular, the video’s concept is known as ‘Steal Things in Zhang Yuan’s House’. When the teaser was released, it became a hot issue among the mass public. Since the characters fit into the situations, the video raised the fans expectations. The teaser video is available on the program’s official SNS.